Flip a coin. If heads this attack does 10 damage. If tails this attack does 100 damage. 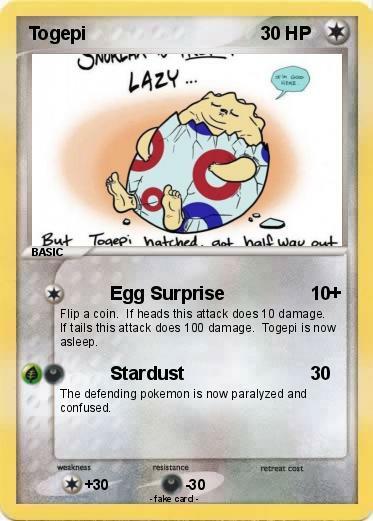 Togepi is now asleep. The defending pokemon is now paralyzed and confused.